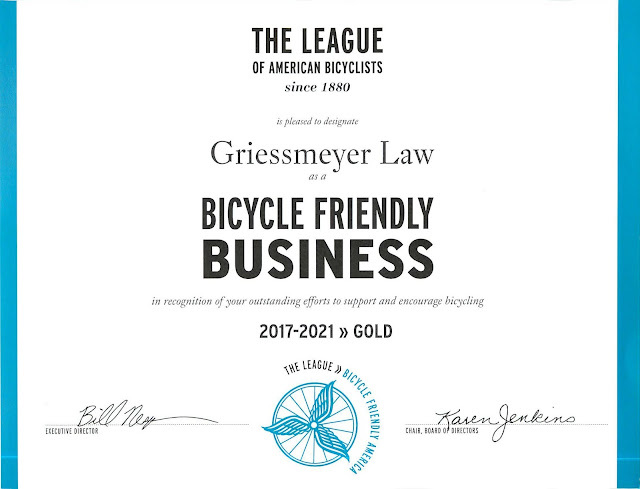 This month, the League of American Bicyclists awarded Griessmeyer Law with a gold rating. 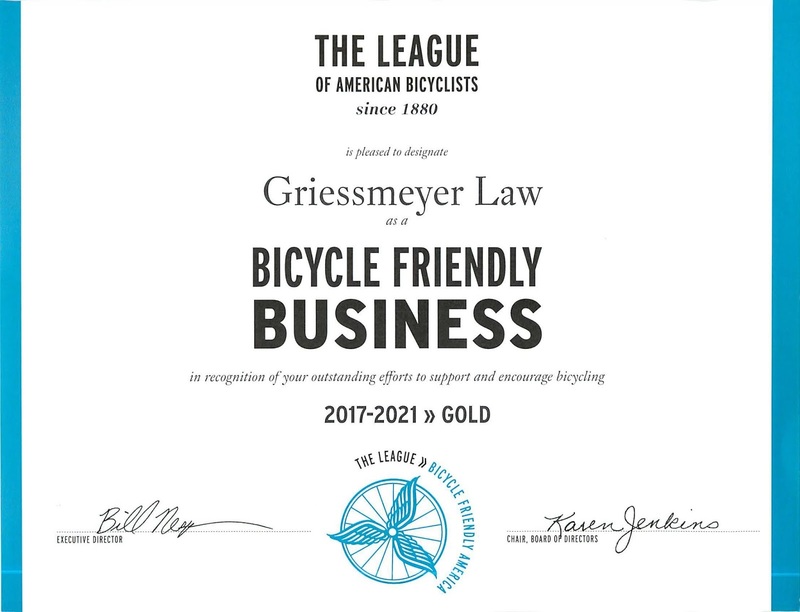 This is a great honor shared with Smith's cycling in La Crosse, Bendy Works Madison, Planet Bike Madison, Bike Fed of WI, Brewery Works Milwaukee, Kimberly Clark Neenah and Trek Bicycles Waterloo. 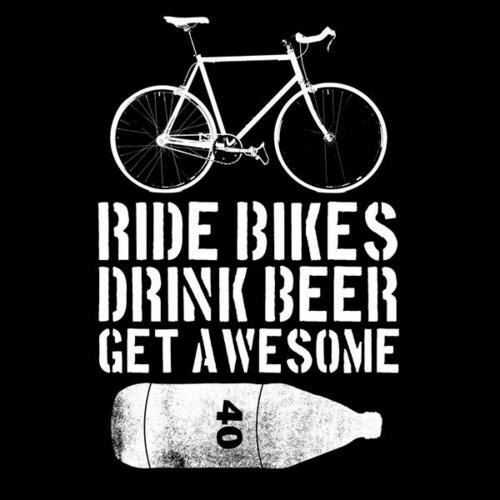 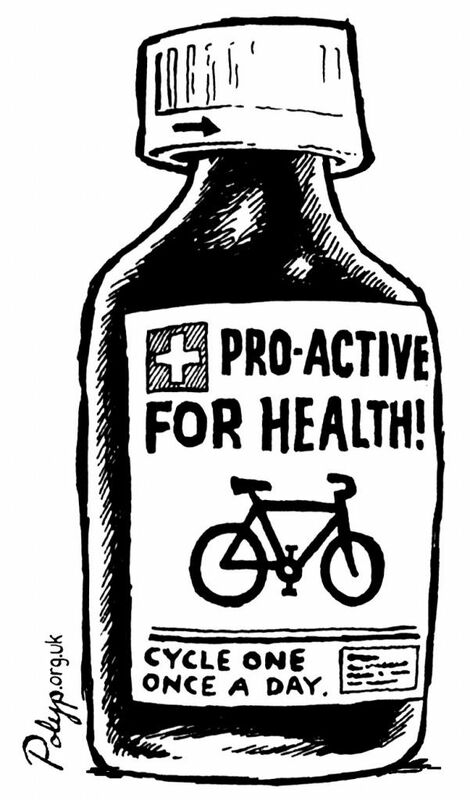 Here is a link to all bicycle friendly business in the U.S.